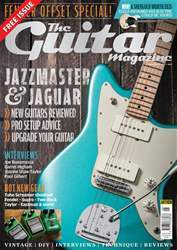 Hi TGM, just wanted to say that I think you are doing the right thing re-naming the mag to The Guitar Magazine. It has a better ring to it, and I think it will appeal to a wider audience, and hopefully sell more copies and subscriptions for you! Please don’t change your format too much though, as your magazine is the best common sense and informative guitar magazine out there for us to buy at present. That said, it would nice if you could feature more articles on the history of guitar makers like Yamaha, Tokai, and so on and also continue with the workshop articles on other guitars – it’s really good fun!